That way, you won’t end up with an automobile that isn’t ideal for your lifestyle. With the kind of attention to detail you’ll experience from our friendly professionals, you’ll realize that the perfect place to purchase your luxurious new BMW model is at our dealership. With us, customer satisfaction is top priority, which is why we’ve proven to be a top-notch BMW dealer in New Hampshire. To get started on your own car buying journey, simply select from our dropdown menus to get a sense of our financing department, our specials, and our BMW dealership as a whole. Whether you’re looking for more general information about who we are, or are trying to discover additional details about our expert financers, you’ll find everything you need right here. And no matter if you prefer to connect with our team members by phone or online, you can easily begin your BMW financing process whenever you like. Once you read more about our financing department, you can access a host of quick links that’ll help you gather more data on how you can finally discover your dream car. For example, our BMW Incentives link allows you to access our current cash and finance offers on BMW vehicles of varying. If you find that your favorite vehicle happens to have a competitive incentive, be sure to take advantage of it by contacting our associates right away. We’ll happily help you design a payment plan that works for you. On top of that, we’ll collaborate with local banks and lenders to secure you with the loan options you deserve. And if you already have an idea of what you’d like to spend on your new car, you can quickly search our inventory by payment. That way, you’ll only be presented with a list of BMW models that fit your financial requirements. Not only does this decrease the amount of time you’ll spend shopping, but it also prevents you from choosing a vehicle that may not align with your budget. It’s this kind of dedication to customer satisfaction that earned us the Center of Excellence distinction in 2012. This status was awarded to our BMW dealership based on our leading performance and service skills, both of which have garnered a crowd of loyal customers who continue to return to us with all their vehicle needs. 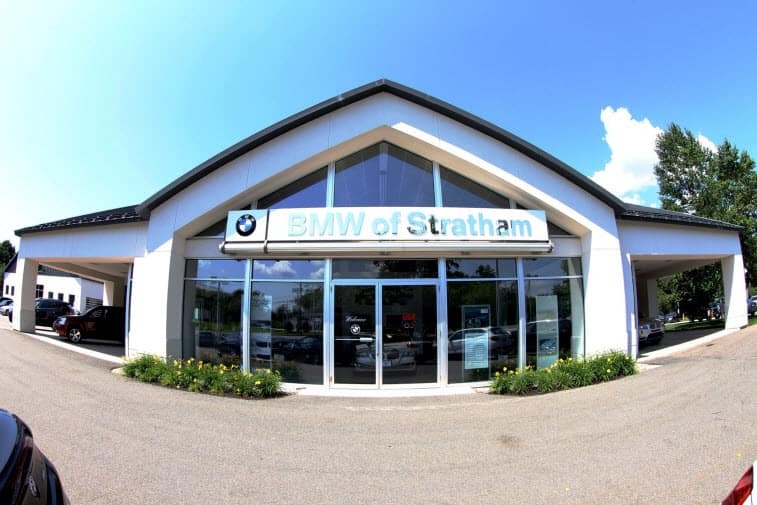 When you choose BMW of Stratham, you’ll be outfitted with a system that commits every effort to the happiness of drivers near Stratham, Portsmouth, and Exeter. And to further our devotion to you, we offer all our helpful tools online so that you can conveniently search for your new BMW. So, let’s get to know each other a little better! All you have to do is start speaking with our representatives online or stop by our BMW dealership today.